Using Stops is the most important thing in trading. It is not the entry nor the target that should have your primary focus. 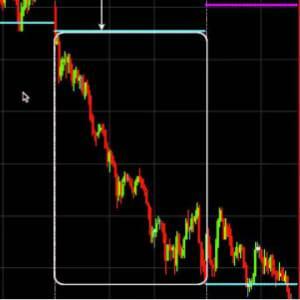 Learn how to trade using stop loss to minimise risk and exploit more profit. Philip has created this trading video to focus on the importance of trading the markets using a stop loss. Contained in the video tutorial are all the different methods that can be used with different types of stop losses including trailing stops. Whether you like to trade aggressively or let the market come to you, there will be a stop loss style which you can gain inspiration from. There are 2 general tips in this video where the first is always use stops. If you do not have a stop in and the trade goes against you might end up losing everything as you freeze and just watch the trade goes further and further against you until you cannot take more and exit the position. By having a hard stop in you are preventing yourself from ending in this “deer in the headlight” type situation. Second tip is never move your stop further away from the entry. If you do you can end up losing your entire account while waiting for the stock to bounce. When you have placed your stop the only way you are allowed to move the stop is with the trade as it goes your way. Never increase the stop loss, only decrease it. Volatility Stop - Uses Average True Range (ATR) or a similar calculation to determine where you should place your stop. Does price move beyond the Average True Range then your stop is hit. This makes sense as normally a move beyond ATR signals a trend change in the market or stock. Last Pivot High/Low - This is what traders also call swing high/low. This is another great place to set your stop or trailing stop. These pivot points shows where buyers/sellers last came in and if that level is breach is can signal a trend change. X Bars High/Low - A very easy to follow but yet useful trailing stop is the X bars high/low. If you are short your trailing stop would be placed above the X bar high and if you were long your trailing stop would below X bar low. This trailing stop is especially popular among scalpers as they need a trailing stop that moves just as fast as price. Point Or Percent - If you are trading one particular stock or future and you trade the same strategy again and again then you quickly get an idea what stock/future normally moves and by knowing that you can place a stop based on point or percent. A very simply stop and trailing stop but none the less effective. Moving Average - Using a Moving Average as a stop is not always the best choice as it is lagging. If price moves very fast then it can actually be even more lagging. However there are some benefits to using a Moving Average as stop/trailing stop and that is it some times leave enough room for you to trail your trade. Helping you stay in during market noise. Reverse Of Entry Signal - This is a little unconventional stop/trailing stop but there are some traders using it. The stop loss is trigger if the opposite of your entry signal occurs. For example if your trade is a cross over of Stochastic to the downside then your exit would be a cross over to the upside. I am not a fan of this kind of stop loss as I believe it is too lagging.